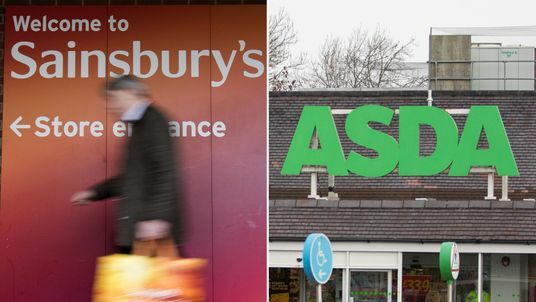 The planned £12bn merger between Sainsbury's and Asda risks substantially lessening competition in 463 areas where the businesses overlap, the competition watchdog has warned. The Competition and Markets Authority (CMA) set out the figure in a detailed explanation of why it last week announced it would refer the deal for an in-depth investigation. It raises the prospect of a substantial sell-off of stores in order to satisfy the regulator that the deal can go through. The CMA previously said that where stores overlap it could mean shoppers facing higher prices or a worse quality of service. It said it would not allow the deal to go ahead if its concerns are not fully addressed. A merger between Sainsbury's and Asda, currently Britain's second and third biggest supermarkets, would create a powerhouse whose combined market share would overtake that of Tesco. It would have revenues of £51bn and a network of 2,800 stores - including outlets under the Argos brand which was bought by Sainsbury's in 2016. Announcing the deal in April, Sainsbury's and Asda said there were no plans to close stores and that they would maintain both brands. The CMA's investigation into the deal is expected to complete by March 2019. Setting out its preliminary findings, the watchdog said: "At a local level, the parties' stores overlap in several hundred local areas across the UK. "The CMA believes that the merger may give rise to a realistic prospect of an SLC [substantial lessening of competition] in many of these local areas if Sainsbury's and Asda are insufficiently constrained by other local competitors." The firms said in a joint statement they welcomed the start of the in-depth inquiry and that they expected the investigation to take into account the "changed market dynamics" of the sector in recent years amid the rise of discount stores and online food shopping. Simple theme. Theme images by mariusFM77. Powered by Blogger.